My husband, son, and I took a trip to New York for my younger brother’s wedding. Then my son and I headed to West Virginia to visit some family friends. After that, I started teacher orientation to help get ready for the new school year. Halfway through that, my son had move-in day for his freshman year at college. Teacher orientation was immediately followed by parent/student orientation. Then, yesterday, the start of the new school year. Oh, the fall semester for the school I’m attending (as a student, not a teacher) also started, so I’m plowing my way through my own school work on top of preparing lessons and lesson plans for the kiddos I’ll be teaching. And…my husband and I will be celebrating our anniversary in a few days. Which I completely forgot about until I was brainstorming ideas for this blog post. Please tell me I’m not the only person who does a fabulous job of forgetting important dates. Seriously. Please tell me that. Of course, what I need more than commiseration is a good idea. What sort of last-minute *thing* can I come up with (in the midst of a busy work week) to celebrate our special day…? I’m open to ideas! 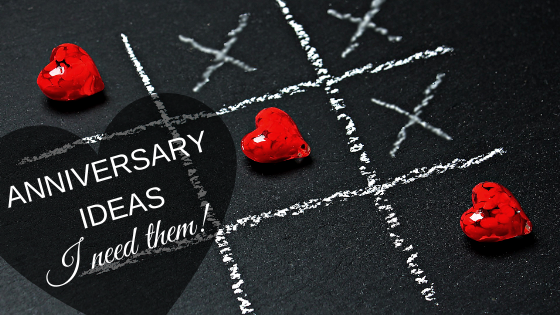 Give me your suggestions in the comments or tell me about creative ways that you or someone you know has celebrated an anniversary OR done something special to help keep the romance alive in a relationship. One commenter will be randomly selected to win a $5 Amazon gift card. 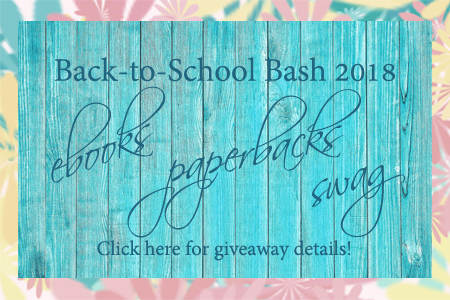 Prizes galore in our Back-to-School Bash! Hi Heather, you are definitely not the only one who forgets important dates!! I am also not very creative when it comes to celebrating special occasions. My idea of a great time is something outdoors…bit tricky in winter time!! I’m glad I’m not alone! As for the outdoors…the only time the outdoors and I get along IS in winter. ^_^ Otherwise, I end up with enough bug bites to keep the calamine people in business for decades to come! My calendars – electronic and paper – are my friends so I don’t forget important dates. And yet I still forget them sometimes…. Maybe a quiet dinner out for the two of you? I could just sign my name under the Wemble’s comment. I’m not creative at all. When I try to do something different in a matter of partying, I check the ideas on Pinterest. I also have to remind myself the days before Anniversary to try and not forget it, lol. My hubby wants only one thing, and by not saying it, you can guess what it is, lol. Hi Heather! 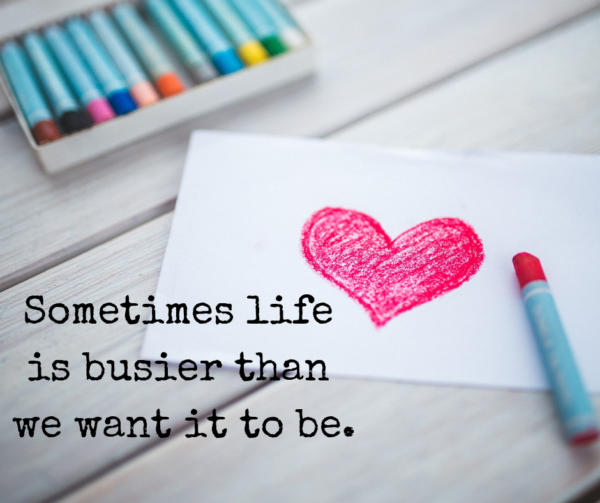 Life regardless of age can be busy and important days can get away from the most organized person. Having been married for 45 years, we have celebrated anniversaries in a variety of ways, including twice moving on our anniversary and several times separated due to work (twice I was in Europe). Mostly we celebrate with a card and a nice dinner out at our favorite white tablecloth restaurant Grand Mere Inn – which thankfully in our area is still open. And as Irma J mentioned a little passion – some necking and kissing and you get the idea. My husband says practice makes perfect – or Liwen Ho’s blog The Impact of a Good Kiss (research of course). After a busy summer, the leisurely “looking in your sweetie’s eyes, holding hands, a lingering kiss and enjoying a leisurely meal” may be more creative and memorable than a fancy trip or expensive gift. The day to day commitment is what speaks for itself. Best wishes in school as both teacher and student. As a retired teacher, being a student helped me in my teaching. In one college class, I missed that we were having a test and did poorly. The instructor said asked me what happened and I stated I did not hear her the week before. She said I could retake it. This made me a better listener and more compassionate to my students. Best wishes and take one day at a time. Renate – I love what you say about being a student making you a better teacher. I got a comment back on something I submitted last week, and all it did was leave me scratching my head. I still don’t actually know what the instructor meant. As I was grading writing assignments today and leaving comments on the papers, I did my best to make sure my students would understand what I was saying. Hey Heather congratulations on your Anniversary and the start of a school year.I think we are all guilty about forgetting important dates.I f I don’t wtite mine on the calenday I will forget.You won’t be the last one to forget and Congratulations again on your Anniversary! Heather….do NOT feel like the only one who forgets! Um. Your lovely post reminds me that TODAY is my anniversary…♥️! Yikes! You are not the only one to forget important dates. I’ve done too many times to remember. I tend to forget my birthday and sometimes my anniversary. I had the exact same dilemma and asked those here for ideas on what to do on our anniversary which was earlier in the month. Happy Anniversary! Happy anniversary ! A quiet walkthrough your neighborhood or a park. A dinner out or in with the two of you. That’s as creative as I get with that. Some friends of ours go to a bed and breakfast but that takes money and planning. I was given a gift certificate to a lovely bed and breakfast back in May, and I checked them to see if I could book our anniversary weekend, but they were all booked up. In fact, they were booked up until several months past our anniversary. Maybe I should try to go book next year’s anniversary weekend… LOL. A walk on a beach, either on a lake or by the ocean. Happy Anniversary! You could do a candle light dinner at home with nice music playing, share a dance, go for a walk, sit outside and talk. You were in my neck of the woods. Next time you are in WV come see me. You are definitely not the only one to forget important dates. What a good idea! Doing something with him that I’d normally avoid. (We don’t generally have the same taste in movies, so that’s the first thing that comes to mind.) I’ll check and see what’s playing. If the weather is still nice, maybe a picnic dinner somewhere?? Maybe you could leave him little love notes in special places to remind him why you’d marry him all over again? Love notes…that’s a great idea! Our anniversary falls on a work day for me but a day off for him. Since I’m usually gone before he gets out of bed, I could do it in the morning. Thank you! You are not the only one! I’m chronically a few days late or more for birthdays and anniversaries! I’m not very creative. I would just go out to eat at a local favorite restaurant. Happy Anniversary Heather I myself have to put things on my calendar so do not feel bad when we have a lot of things going on in our life we tend to forget somethings and I know I have done that before My Husband and I when he was still here would pack us a picnic and take a stroll it was so fun just enjoying the nature of the outdoors. A picnic and stroll sound lovely! Of course, I’m picturing you somewhere that fall has already arrived and where you don’t end up a puddle of sweaty goo at the end of the walk. Because there’s nothing remotely romantic about being a puddle of sweaty goo. ^_^ Blessings to you! I’m glad you could stop by today! A treat from a favorite bakery? or somewhere you’ve been meaning to try? Ours is Thursday. Hubby will be out of town with work. When we have the chance, we’ll have a nice dinner out. It works for us! congratulations on all of the wonderful things happening. since your son is away maybe a lovely simple candlelight dinner for two, a movie afterwards, cuddle up together. or going out just the two of you. whatever you do it will be special because it is the two of you together. What a lovely perspective! Thank you Lori! 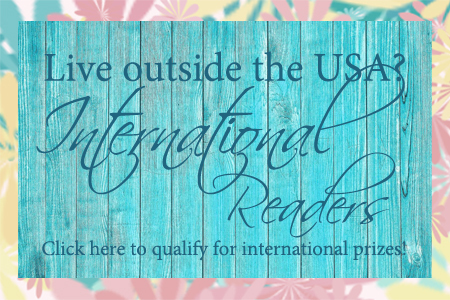 Despite the fact that I write Christian romance, I’m not a terribly romantic person. I’m a bit too practical for romance. Consequently, I always feel pressured to *do something* when days like this roll around. But you’re right – it will be special because we’re together, not because we went somewhere or did something fancy or fantastic. My husband and I just celebrated our 50th anniversary in June. We usually just go out to dinner at a nice restaurant, but we decided to splurge and invite all our kids and grandkids. We had a great time and were able to get some wonderful pictures afterwards. Family pictures are the best! I’m glad you both got to have that special time together and with your family. I’m sure your enduring love has inspired your family in numerous ways. I think spending time together is the main thing. I usually fix his favorite meal or we go to our favorite restaurant and spend the day together doing something we both enjoy. Time together is such a precious commodity. We don’t often realize how precious until it’s too late. Thank you for the reminder! You are having a busy time. I’m useless at thinking up great gift/celebration ideas. I need inspiration. Ha! You and me both! Read some of the comments – I’m sure you’ll get some great ideas. I know I have! We had a simple rehearsal dinner made by my mother-in-law, so a fun thing to occasionally do is to recreate that dinner. Then we look again through our wedding pictures and through our gift list, remembering and talking about each gift -whether we still have it or not. Then we talk about our marriage, the highlights, the lowlights, what we expected coming in, where we are now. Praying together is one of the most romantic things we do – by candlelight. Sometimes we tell each other what we really love and appreciate/see in each other. Oh wow. You guys are super romantic! We were in the process of moving several years ago and had put many of our belongings into storage to help facilitate a quick move. Unfortunately, that storage unit ended up getting broken into a robbed. It was December, and among the items we lost were all of the Christmas presents we’d already bought, some priceless items I’d inherited (priceless in sentiment, not monetary worth), and our wedding album. It was a hard loss, but it was a good lesson – for me at least – about caring for people more than we care for stuff. Still…sometimes I miss that album. You are not the only one who forgets dates!!! A gift my husband made, that I cherish to this day, is a bag of notes. It’s a plain paperbag… he actually used an old Carl’s Jr bag…and a bunch of notes. The notes tell me one thing my hubby likes/loves about me. Maybe that’s too girly for a man gift, but I adore that bag. Especially when things get rough, I love to reach into my bag and grab an uplifting love note. Happy Anniversary, btw!!! That’s a lovely idea! We don’t have Carl’s Junior in this area, though… ^_^ One year for Valentine’s Day, I wrote a letter (because I’m long-winded like that) telling my husband everything I love about him. I’d like to say it was born out of romanticism, but the truth is that we were young and flat broke. It’s still my favorite Valentine’s gift of all the ones I’ve given him over the years, though. I am always forgetting things and believe me it gets worse as you age. Besides maybe going for a special meal,it is a nice idea to have a box with notes to give him . The note could be a love note like good for one kiss,or good for you doing one chore he does,like taking out trash. Other suggestions,a back rub,massaging his feet or any number of things. You sound soooo busy! I suggest you go with something simple for your anniversary. What are some of your husband’s favourite things? If he enjoys hiking, plan a picnic to take along. Or if he’s into photography, sign him up for a class he can take? Sometimes it’s just nice to slow down and enjoy time together rather than going all out. I forget dates all the time, until I’ve started using an online website (www(dot)birthdayalarm(dot)com) to help me keep track of them (send me reminders a few days before and in the morning of)… then I actually started being the one person who remembered all important events. It takes a while to set up the first time, then you just start adding new ones, which is easy (also a good task to ask you beloved children to do for you the first time around, because it might take some time). I also forget dates til almost too late. A couple years ago my hubby wrote me a beautiful poem for our Anniversary. He had it framed . It is in several places in the house. One is in the front hallway surrounded with little name plaques of us and the kids. The name and the meaning of the name and a scripture to go with each one. Hope you find something meaningful. Happy Anniversary! Hi. I’m not married, so that’s not something I worry about forgetting (I have been known to forget my own birthday, though…) However,I just happened to go to another author’s Pinterest page (her Pinterest name is jennathewriter) earlier this evening and the first thing on her page was a list of date ideas from A to Z. Since your anniversary is in the middle of the week, maybe an intimate dinner for two at home, then plan something special for the weekend. Happy Anniversary! I hope all goes well. It’s our anniversary today, been married 6 years and still the best thing to happen to us. We like do little “adventures” find something you haven’t done or seen or been to. Like a new park or a museum or even just a restaurant you haven’t tried before. You might just discover a new favourite. I am horrible with dates. I have to write everything down and i still forget lol! I think just setting aside time to BE together is most important. IT doesn’t have to be a fancy dinner or a romantic setting…..just time together when you’ve been so busy.